and select Account History and Transactions. Click Select Date Range and then set Start Date and End Date for the report, then click the GO button. 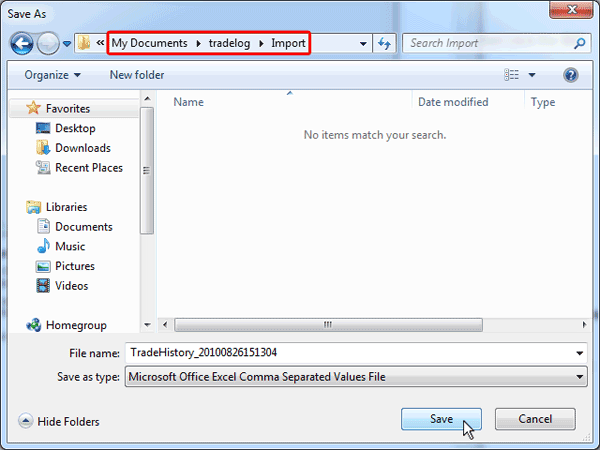 Save the report csv file to your "c:\my documents\tradelog\import" directory. 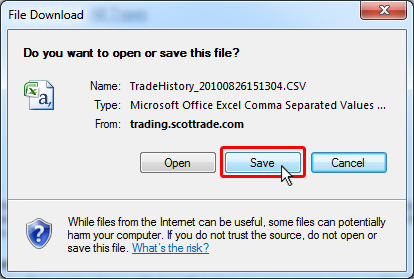 Click on the Scottrade Imp speed button and a file Scottrade Import dialog box will appear. Select the file you just downloaded and click the Open button. 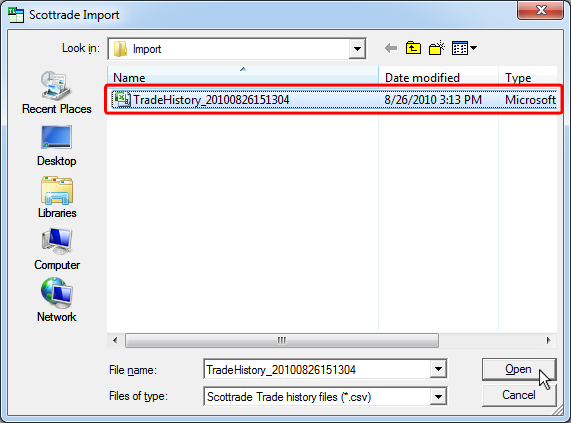 Click Yes to save your imported records.